These handsome gable gift boxes are tied with raffia or seasonal ribbon. The small box contains a dozen of freshly baked gourmet cookies with tropical fruits and flavors from our own bakery. No preservatives so choose your shipping method accordingly as you order online. Delivered locally same day if ordered by 10 am. A‎ pleasure inducing assortment of two dozen large gourmet cookies, freshly baked by Flo's tropical bakery. Presented on an attractive sea grass tray, wrapped in cellophane and tied with a multi-colored bow. This is a real pleaser. The combination of tart key lime flavor with the smooth nutty flavor of coconut propels this creation to new heights of enjoyment. Everyone’s newest favorite. Orange zest and flavor are unmistakable in the shortbread cookies with a wonderful balance created by dark chocolate chips. Monuments to the adage "morsels are good, more and bigger morsels are better, chunks the best"!. The chunks of imported French dark chocolate make these "the best". Who needs raisins when you can have chewy flakes of that tropical treat, coconut. 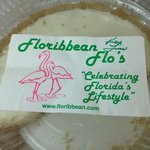 Customers tell us Flo's special key lime pie "is the best in all page) Florida". We'll let you decide. But you have to come to Sarasota to enjoy it. 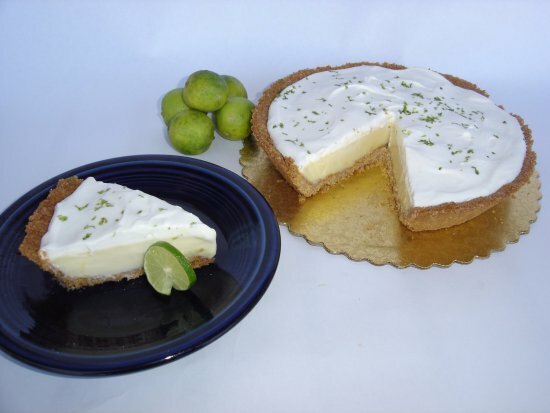 Hand-made crust of Graham crackers is filled with traditional custard made with all natural, 100% real key lime juice. Not key west lime juice, but key lime juice. A world of difference! 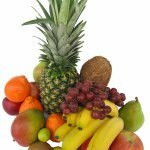 Flo's may be the only bakery to offer pies made with this wonderful tasting tropical fruit grown here in Florida as well as throughout tropical climates. It's wonderful! We toast natural coconut flakes to use in the coconut custard and On top. 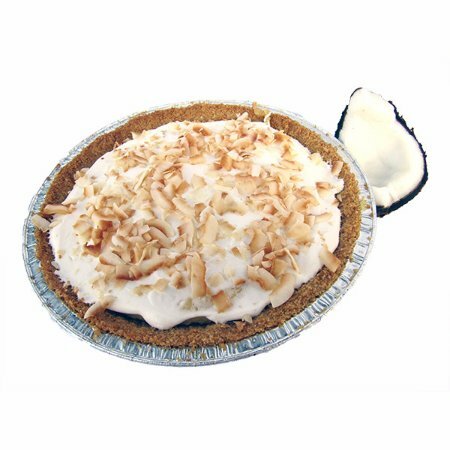 If you love coconut, you'll love this one. Creamy orange flavor throughout will please those already familiar with and just being introduced to this flavor full combination. 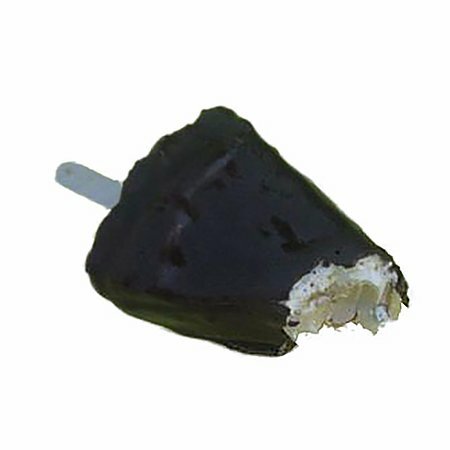 A slice of our key lime pie, dipped in dark, semi-sweet chocolate, frozen with a stick in the end to provide a handle for a very special Florida treat. This tangy-tart cake can only have come from Florida, home of the key lime. 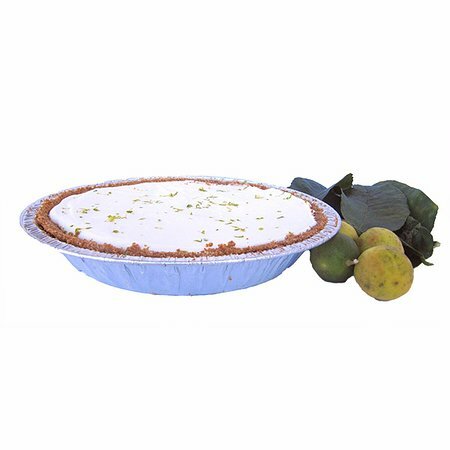 The 100% natural key lime juice flavors the batter as it bakes but is also used as a soaking glaze which insures a tart moistness for up to 10 days or longer-without any artificial preservatives. This large cake will easily serve 16. This‎ cake was selected to be served at the official NFL super bowl tailgate party and was acclaimed "best dessert". Compare this to other honey bell orange cakes available. Superior quality at a bargain price! Recently 1st prize winner at just desserts gala. Judged "best dessert!" Natural honeybell ( Florida’s premier) orange flavoring and fresh squeezed orange juice is used in the batter of this cake as well as the soaking glaze to create this moist pound cake. Each slice brings visions of the Florida orange grove itself to mind with its smooth orange flavor. This cake too has a shelf life of at least 10 days which can be prolonged by refrigeration or the freezer. Serves 16 or more. This cake was selected to be served at the official NFL super bowl tailgate party and was acclaimed "best dessert". Compare this to other rum cakes available. Superior quality at a bargain price! Each slice of this moist, dark rum infused cake, a classic recipe from the Caribbean, will bring visions of swaying palm trees and sugar white sands. Easily serves 16. Our secret spices and other ingredients from the Caribbean Islands intensify the deep chocolate flavor of this cake without being, otherwise, apparent. Cake lovers love, Chocolate lovers love more. Lemon, lemon and more lemon gives this favorite a tart, tangy flavor you'll love. The abundant poppy seeds burst with each bite, enhancing the taste experience. Who doesn't love a birthday cake? Send our most popular Honeybell orange bundt cake in a happy birthday package. We will put a happy birthday ribbon around cake, stick a 4" birthday candle in the bow and include a happy birthday party hat, a happy birthday napkin and a party blow-out to help the celebration. Imported, aged Dutch Gouda cheese and bacon give this spinach quiche a smoky flavor with each bite. Serves 6. Jarlsberg Swiss and sautéed fresh baby spinach. Serves 6. In addition to the classic gruyere cheese version, Flo's offers several variations listed below. These bite-sized savory pastries, made with choux pastry dough, are sold frozen at the bakery but need only to be reheated at 350 degrees for as little as 5 to 10 minutes to be ready to serve as a delicious and different appetizer bite. Our signature tart. 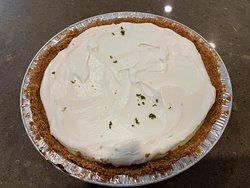 A layer of key lime on the bottom, lemon on top. Slices are always available at the Bakery (3.50), whole tarts can be ordered 24 hours in advance. Flakey 9" tart shell is filled with lemon pastry cream then covered with fresh strawberries, enrobed with a fruit glaze. The lemon pastry cream is topped with fresh peach slices and usually includes a strawberry too. If there are fresh mango varieties such as Hayden or some of the even better varieties, we'll do mango tarts as they are simply wonderful. Fresh, tart apple slices top a creamy custard base..
Mango, blueberry, Peach, whatever fruit is available will fill these small shells that can be shared or savored by one. Small‎ pastry shells of sweetened choux pastry (think cream puff shells) are split, a dollop of pastry cream inserted then finished with whatever fresh fruit is in season. This Gift Shop and Tropical Bakery was rated one of 10 Best Bakeries in Florida. 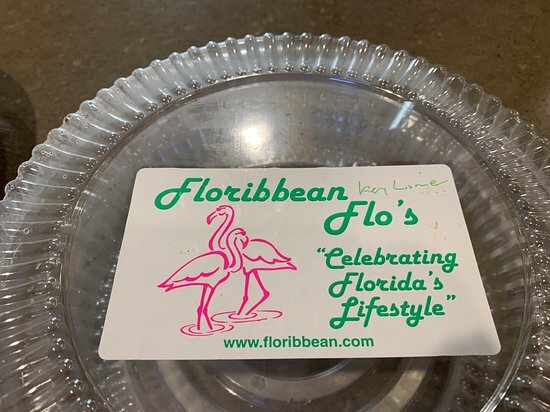 Floribbean Flo's features its Key Lime Pie which customers rate as the very best they have tasted anywhere. Besides Pies, Cakes and Cookies Flo's serves Sandwiches at lunch and will soon offer Brunch specialties. Top notch key lime pie. They make something else that I’ve never found anywhere else. Dark chocolate dipped key lime pie frozen bars. Incredible. Honestly, there are other chocolate covered pie bars out there but none start with our Key Lime Pie slices so there's a big difference. Thank you so much, your opinion is important to us! You are so kind to suggest how we can satisfy special needs such as vegan. We love to please! Thanks so much! Best key lime pie in Siesta Key! 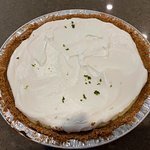 We're so pleased you appreciated the quality ingredients that make our Key Lime Pie considered by so many to be the best And just for the record, it is a 9" pie. Thanks so much! Great desserts! Fun Florida accessories, too. Their pies are amazing. Nice hostess gifts, too. 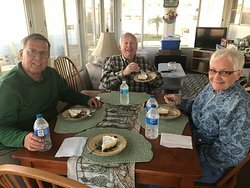 The key lime pie is delicious and authentic. You can order and have items sent to your relatives out of state, too. We love being the place to go to for great pies and Florida gifts too! THANKS! 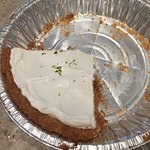 Well, Vivian, we're sure glad you found us and that you like our Key Lime Pie so much! Thank you, thank you! The BEST Key Lime Pie, Passion Fruit Pie and Orange pound cake. Always buy a pie to take home to guests. Small and friendly shop. Desserts are amazing. Highly recommend this place! Robyn & John from Kentucky Our first love was making pies. Then, as we got responses like this to our pies, we found we loved being in the business of getting responses like this from customers like you. We can't lose! Thank you so much! 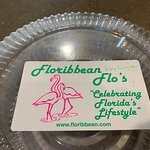 Get quick answers from Floribbean Flo's staff and past visitors.